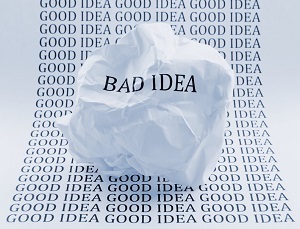 Note from Dharmesh: This is a guest post from Patrick Foley. I normally don't post articles that promote an event — but Business of Software is not a normal event. It's the ONLY conference that I've spoken at 5 years in a row (an am speaking again this year). It's the only conference for which I stay at a hotel in Boston (5 miles from where I live) just so I can hang out with the people attending the conference as much as possible. It's that good. You should attend. (Note: I am not affiliated with the organizers, my selfish reason for convincing you to go is so I can meet more awesome people). ABSTRACT: If you’re not satisfied with some aspect of your career, go to a great conference like Business of Software. The best conferences can dramatically alter your perspective and ultimately change you. Obviously, I was wrong. For three days I listened to amazing speakers like Jason Cohen (founder, WPEngine) explain how the different personal goals of founders have an enormous impact on their business actions – meaning you should pay more attention to advice from founders with similar personal goals. I was inspired to hear Peldi Guillizoni (founder, Balsamiq) explain how he built his business – and how his journey actually started while working for a big company (hey, just like me!). I was shocked to hear Joel Spolsky’s very intimate description of how funding really works. I learned measurement concepts from Dharmesh Shah (founder, HubSpot) that I didn’t even know were knowable. I was genuinely moved by the stories from these founders and all the other brilliant speakers. And that was just the first year for me (more great speaker videos from 2010, 2011 and 2012). At a great conference, the attendees are as important as the speakers. Many of the people I’ve met at Business of Software have become my friends and advisors. One became my cofounder in my first effort at a building a software company (a story for another day). There’s a bond that develops among Business of Software attendees that’s hard to describe. Part of it is that the speakers are highly engaged attendees themselves – something you don’t see often – this is their community, their tribe, and the speakers clearly look forward to being a part of the event from both sides of the stage. Great conferences like Business of Software aren’t cheap, but they’re a great investment. Microsoft paid my way to a couple of conferences a year – that’s a HUGE perk of working for an established company! If you work for a company that has multiple layers of management, then they probably have a conference budget already. Use it! I attended Business of Software on Microsoft’s dime in 2010 and 2011. Last year, I took vacation time and paid my own way, because I was preparing to leave my job. This year took me in another direction. When it became clear that my product company wasn’t going to work, it was still time to leave Microsoft, so I reluctantly returned to consulting. I was a consultant for 14 years before joining Microsoft, and I’m pretty good at it – but I still felt defeated. Sometimes you just gotta lick your wounds, recover, and figure out a new path. I figured I’d build up my financial resources for a few years as a consultant and then try again to build a software company. But then a crazy thing happened … a few weeks ago, a couple of friends that I met at Business of Software contacted me about a job. They have a small, very successful software company, and they think I could help with their next stage of growth. WOW! I didn’t see that coming. I’ll have my hands in all parts of the business, improving anything I can and learning everything I can. It’s not a startup (they’ve already found product/market fit), but it’s actually a better fit for me at this point in my life, because it provides greater financial stability, and it will allow me to experience how a successful company operates. A while back, I asked Jason Cohen for life/career advice, and this was exactly the sort of situation he said I should be looking for. It’s PERFECT. I’m sure you can guess the call-to-action of this post by now … sign up for Business of Software and GO. It just might change your life. 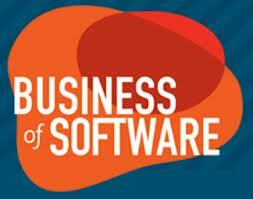 The best work I did for Microsoft stemmed from Business of Software. Then it inspired me to leave Microsoft and pursue work that I like even better. And now my dream job FOUND ME because I went to Business of Software. My new company and I haven’t actually finalized my role or my start date yet … we’re going to formalize things in 2 weeks at Business of Software … I hope to see you there! It’s going to sell out, so you need to jump online and order your ticket now. My understanding is that it’s going to be several hundred dollars more expensive next week (if you can get in at all). If you’re on the fence about going, feel free to contact me (pf@patrickfoley.com) to talk about it.